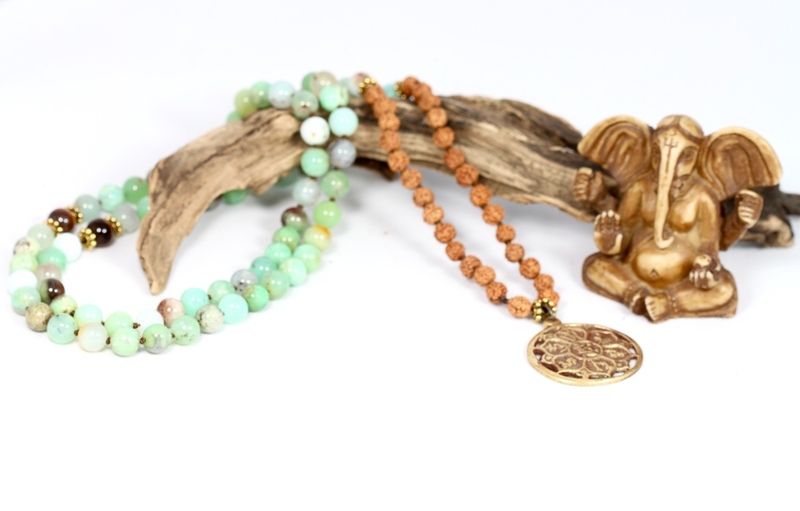 Every mala is guaranteed for 6 months assuming normal wear and tear. Malas are by nature meant to be used and handled, and while mine are designed for exceptional durability, breaks do occasionally happen. To ensure the longevity of your beautiful piece, I use the most durable nylon beading cord, which is double threaded for extra strength. 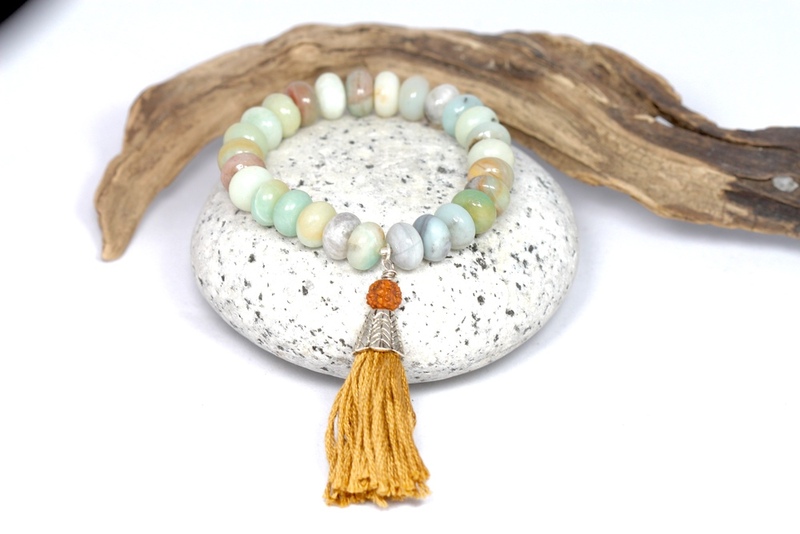 I design many malas for you to choose from, or we can custom design one together. For custom projects, I first discuss with clients via e-mail to discover your goals, desires, or wishes, and how selection of certain gemstones or wood/seed beads will support your unique intentions. Depending on the size of the bead selected, the finished piece will either be approximately 27” in total for 6 mm beads; or 36” total using 8mm beads. 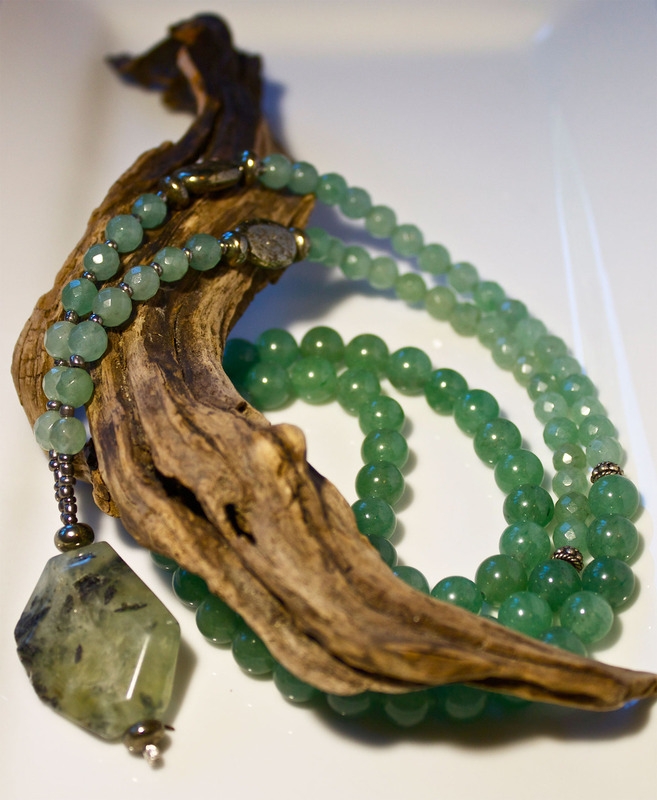 Every mala is packed, shipped and sent first class USPS. Pricing of each mala will vary depending on the gemstones chosen and the type and size of the “Guru” bead, but all of my custom malas begin at $95 and up. I can estimate your finished price once we discuss your design and stones. A $95 non-refundable deposit is due on placement of your order, with the balance due upon completion and prior to shipping. You will be sent a custom link to make payment via PayPal but in addition to paying using a PayPal account all major credit cards are also accepted. 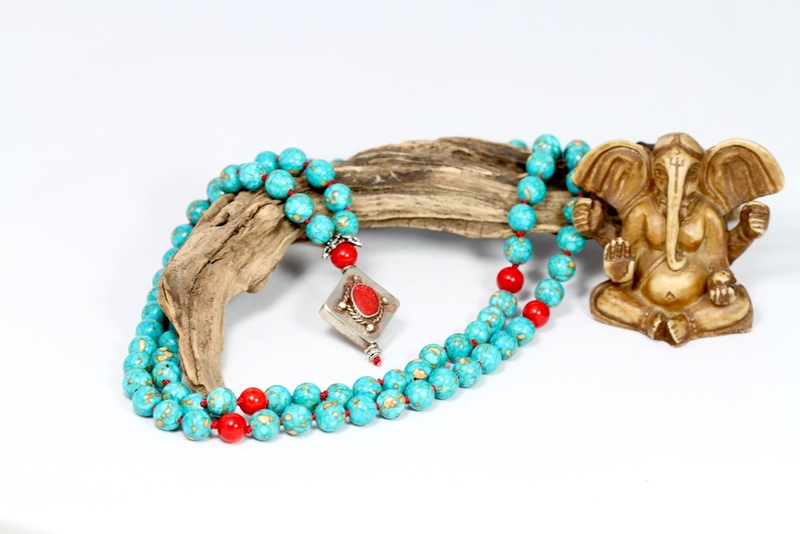 Please allow 6-8 weeks for delivery of your mala as materials may need to be ordered according to your design. If you have a special request for faster turnaround, please drop me a line and we can talk about my schedule and your timing.